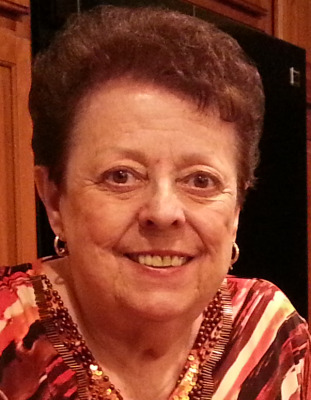 Susan M. Domowicz, age 73, found peace on Thursday, January 17, 2019. She was born December 15, 1945 in Milwaukee to Frank and Anne (nee Janus) Resch. She was united in marriage on April 29, 1972 to Paul Domowicz at Holy Hill Catholic Church. Susan enjoyed shopping, sewing, home décor and fashion. She was also an avid doll collector. Susan was a very spiritual person and she often thought of the afterlife, and being reunited with her daughter Kimberly. Susan is survived by her beloved husband, Paul; three children, Mark, Lia and Brent; further survived by other relatives and friends. A Memorial Service will be held at 11:30a.m. on Friday January 25, 2019 at Good Shepherd Catholic Church (N88W17658 Christman Rd, Menomonee Falls, WI 53051). Visitation for family and friends on Friday from 10:00a.m. until the 11:30a.m. service. To send flowers or a remembrance gift to the family of Susan Domowicz, please visit our Tribute Store. "Email Address" would like to share the life celebration of Susan Domowicz. Click on the "link" to go to share a favorite memory or leave a condolence message for the family.